I haven't posted in a couple of weeks. I haven't been photographing as many landscapes lately. Instead, I have been concentrating on portrait photography. Reading about portrait photography, shooting, editing, reading some more, and watching cool videos on Youtube like In Camera Artistry by Jerry Ghionis and Shooting Great Portraits With The Minimal Amount of Gear by Jeff Cable. Can you tell I really like B&H's Youtube channel? 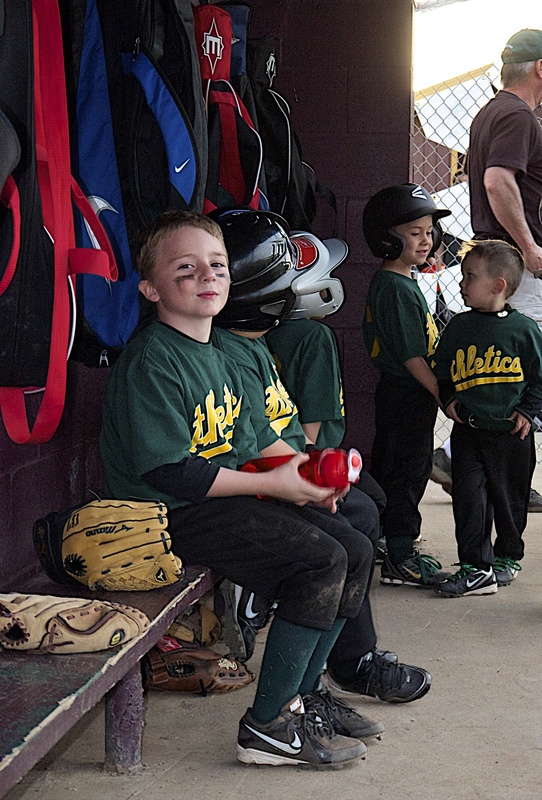 First up is Jacob at his first Little League game. The lighting was at sunset. 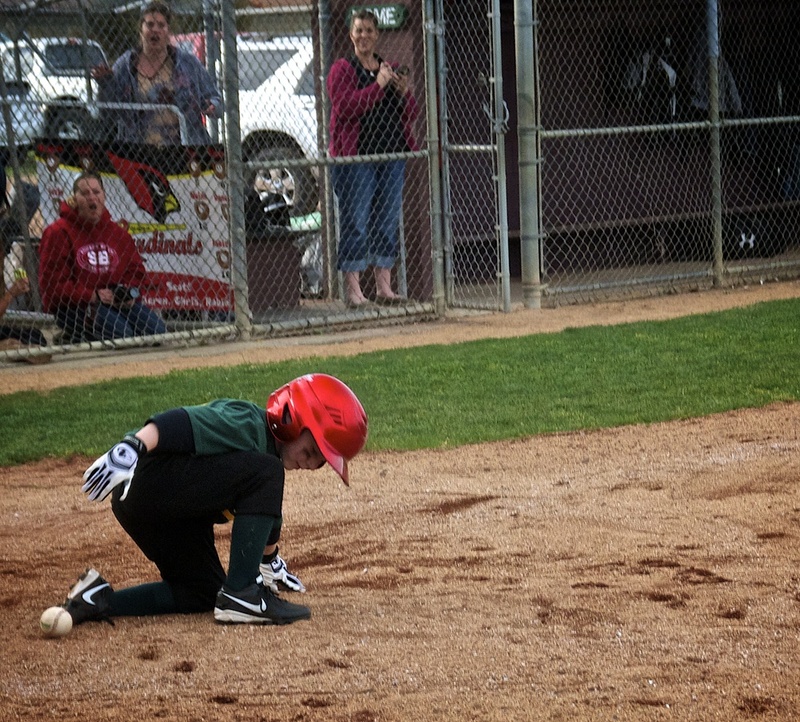 I told Jacob I wanted the shot for his baseball card. So he ran to the end of the bullpen and began striking poses. Some of the flaws are a little blurriness on the arm patch and glove and the shadow from the hat. I would have preffered his chin up a little more to get that shadow off his left eye. One of the cool things about this was that it is also event and sports photography. 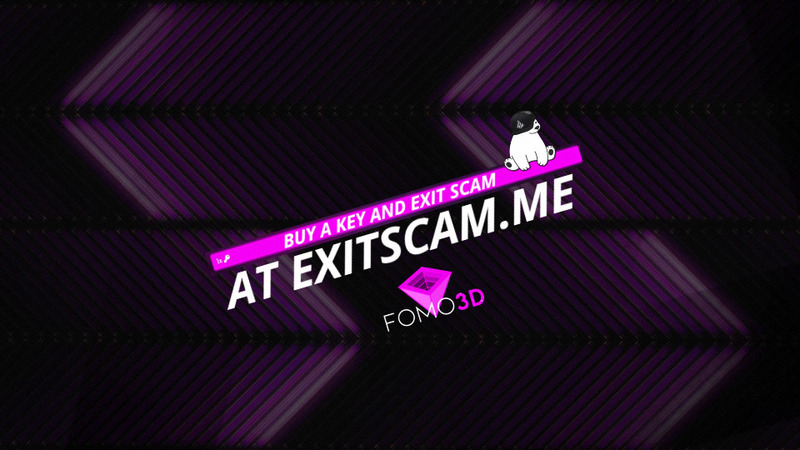 That's great: broadening my horizons threefold! A photo tells a story. This is Ben's grandmother. I know she's Ben's grandmother because that was the name she was cheering. 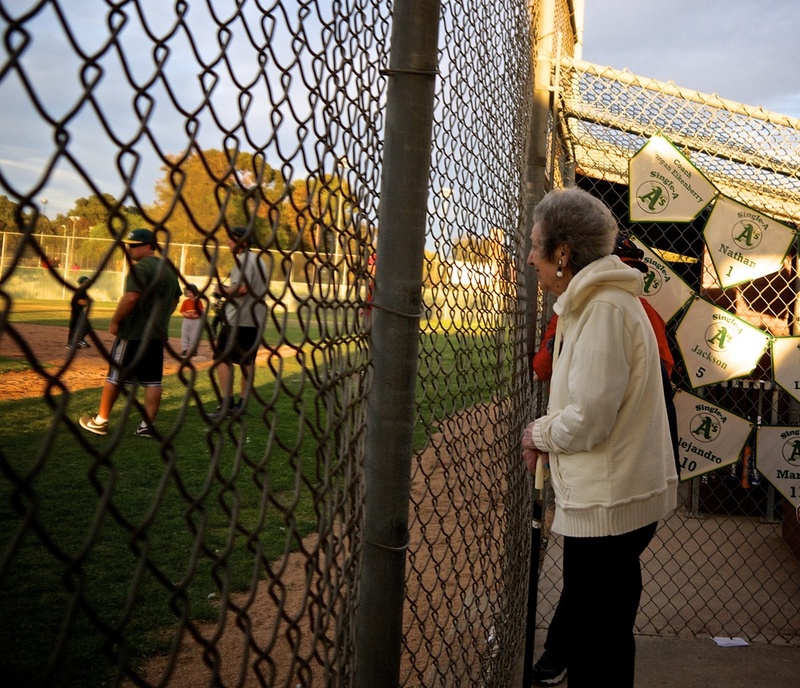 It was a cool spring evening and she stood most of the game at the fence with her cane due to failing eyesight. 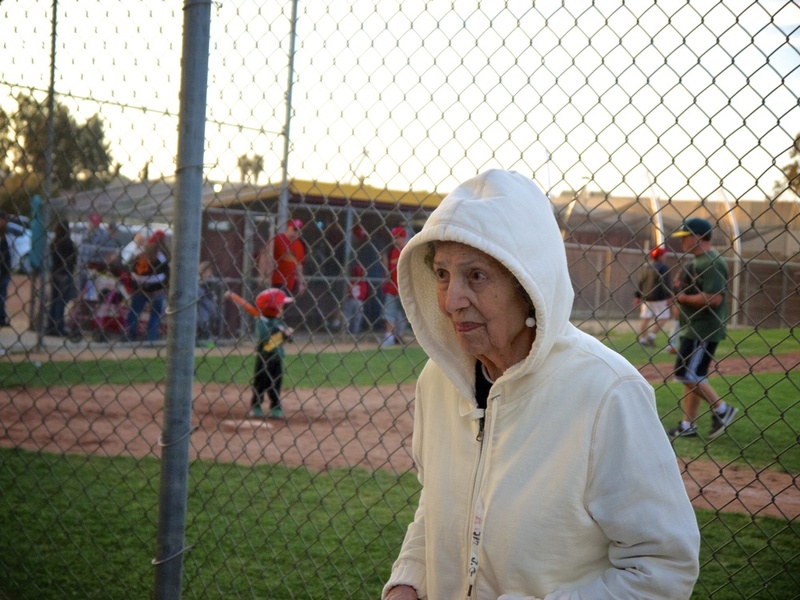 Nonetheless, she came out to cheer her grandson in his Little League game. I knew I had to have a photo. What an awesome grandma! Shot this one at wide angle, getting that spectacular background and really close up. This one is a favorite. The couches in the living room were in an "L" shape and Fernando was sitting on the wrong one. I told him, "Go to the other couch." and he did and I told him to lay back and hold the baby up over him. Now that I look carefully at the photo, we should have closed the window. The frame for the sliding pane is distracting. Luna's mom gave her some candy. Luna's mom gave her some candy. That made her very cooperative. So, lesson learned: When photographing children, bring candy.